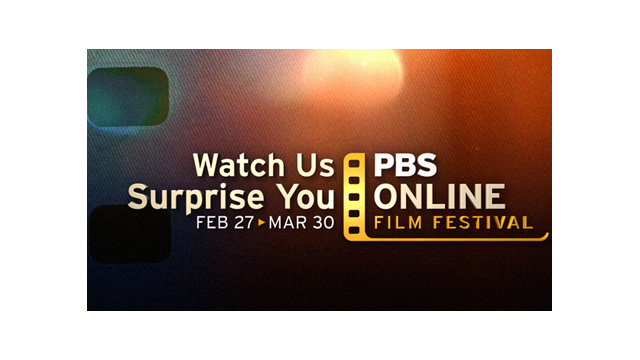 ARLINGTON, VA – February 22, 2012 – PBS today announced that it will launch its first Online Film Festival and showcase of 20 short films from independent filmmakers. The Festival, featuring award-winning films with a wide array of styles, perspectives and subject matter, will run from February 27 through March 30 and can be accessed via the PBS Online Film Festival website and the PBS YouTube channel. A People’s Choice award will be given to the film with the most votes. Visitors can vote for their favorite film by “liking” it either on the Festival’s page on PBS.org or the PBS YouTube channel. The overall winner will receive top placement on the PBS.org homepage, video portal and YouTube page, promotion on PBS’s social media channels and an official badge for their site. The PBS Online Film Festival will feature short films produced by a number of public broadcasting organizations including Independent Television Service (ITVS), POV and the National Minority Consortia (Pacific Islanders in Communications (PIC), National Black Programming Consortium (NPBC), Center for Asian American Media (CAAM), Latino Public Broadcasting (LPB) and Native American Public Telecommunications (NAPT)). Seltzer Works (POV) - Third generation seltzer filler Kenny Gomberg is the last bottler in Brooklyn. The Archive (POV) - A man and his giant record collection (that no one wants). Once Upon a Rooftop (CAAM) - The world of Hong Kong rooftop dwellers whose lives are tenuous, but filled with an enduring hope. I Survived (NAPT) - A first-hand account of Sgt. Samuel Tapia’s experience when his convoy hits a roadside bomb. Man in the Mirror (NBPC) - Jason is popular, athletic, with a girlfriend...and boyfriend? As he tries to figure it all out he is pushed to take a stand. Life's Poison (NBPC) - A son has to deal with his dead father's legacy before it ruins his future. Clara Como El Agua (LPB) - She’s white. She’s also black. Mostly, she’s rejected. This Gay and Age (POV) - A young filmmaker examines how media has influenced expectations of gay teens. My Name is Seven (CAAM) - Seven secretly loves break dancing, but is worried that his skills are mediocre. But Seven quickly ups his game to impress Michi, a champion dancer. Keao (PIC) - Keao follows a young woman’s journey of self-actualization through the use of ancient cultural practices. Flawed (POV) - A woman is uneasy about beginning a relationship with a plastic surgeon. Women and Girls Lead: Meet Beverly (ITVS) - Beverly Kearny, the University of Texas Women's Track and Field Coach, leads by example to moldyoung women into confident, fearless winners. All Falls Down (NPBC) - Three best girlfriends meet a group of boys on their daily commute, and each person is challenged to figure out who they are and what they want from a relationship. Sunshine: Single Dads (ITVS) - Single parenthood becomes even more complicated when the parent is a father, and that father is gay. Black Folk Don't: Tip (NBPC) - Part of a series of short films exploring common stereotypes, the film askswhether this is a dated idea or still true today. Bullet Proof Vest (ITVS) - Nine-year-old Jyeshria wants a bulletproof vest—and she’s dead serious. The Migration (NAPT) - An eco-fable from the not-too-distant future ponders the role of Native seeds in the survival of humanity. Horse You See (NAPT) - Meet Ross, a horse from the Navajo reservation. Hear his story and thoughts about being a horse. 34x25x36 (POV) - This film shows the inner workings of the Patina V mannequin factory outside Los Angeles and the musings of the designers who decide what the perfect female body should look like. Future States -- Play (ITVS) - This film imagines a not-too-distant future where video games have become indistinguishable from reality. The Festival will be hosted by filmmakers Patrick Epino and Stephen Dypiangco, co-founders of The National Film Society. With a uniquely brainy and offbeat style, the National Film Society produces weekly web videos about movies, filmmaking and pop culture. More on the hosts can be found at youtube.com/nationalfilmsociety and facebook.com/nationalfilmsociety.